A short prologue episode gets us back up to speed, just in time for the first episode to confuse me all to hell again. Too much too fast, Tatsunoko Production! Continue Reading "GATCHAMAN Crowds Insight – 00, 01"
From start to finish, Gatchaman Crowds remains an inspiring mess. Continue Reading "GATCHAMAN Crowds – 12 (END)"
The oddly placed montage aside, GATCHAMAN Crowds is building up to it’s climax in good fashion. 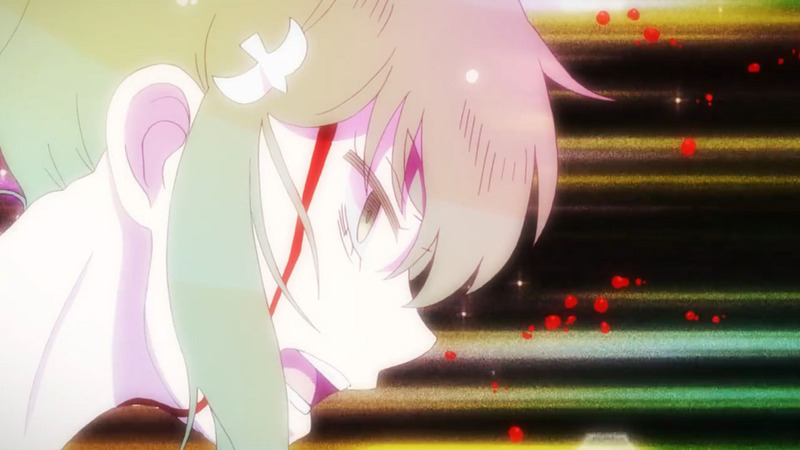 Continue Reading "GATCHAMAN Crowds – 11"
Action, action, and more action. Whether or not it’s a result of reaching the climax in the show, this kind of Gatchaman is fine too. Continue Reading "GATCHAMAN Crowds – 10"
I want to love Gatchaman unreservedly. I really want to do so, but it’s episodes like this that just get in the way of all that. Continue Reading "GATCHAMAN Crowds – 09"
One moment we’re throwing fisticuffs in a good old superhero vs supervillain showdown. The next it’s a…a PR attack? Continue Reading "GATCHAMAN Crowds – 07, 08"
This shift towards the characters of the show was definitely more of what I wanted to see. Continue Reading "GATCHAMAN Crowds – 06"
Even if the show does have its problems, I can’t help but love what Gatchaman Crowds keeps trying to do. Continue Reading "GATCHAMAN Crowds – 04, 05"
I think this is the fastest I’ve seen the actions of a superteam get called out on. Continue Reading "GATCHAMAN Crowds – 02, 03"
I’m almost tempted to reuse my flavor text from Tsuritama last year, because one thing’s for sure. You ain’t gonna see anything else as refreshingly outrageous as Gatchaman Crowds this season. Continue Reading "GATCHAMAN CROWDS – 01"